The book has cute and colorful illustrations in it that your kids will certainly appreciate. This is a children’s book that serves also as a coloring book that your little kiddos will surely enjoy and love. 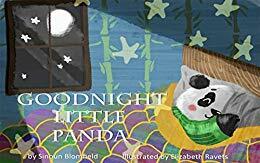 This is specifically and especially designed as a bedtime story and coloring book in one in order for the reading to be more interactive and interesting both for the child and the reader, may it be mom, dad, or older siblings.